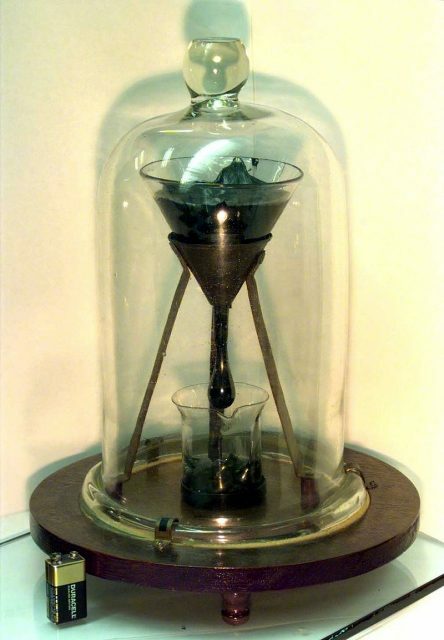 Running since 1930, the pitch drop experiment is the longest running lab experiment in history. It consists of a hunk of black pitch in a turned-over sealed funnel, under a large bell jar. It was started in 1927 by Thomas Parnell, Professor of Physics at the University of Queensland in Brisbane, Australia. The purpose of this unusual experiment was to examine the properties of pitch, one of the thickest liquids on Earth. 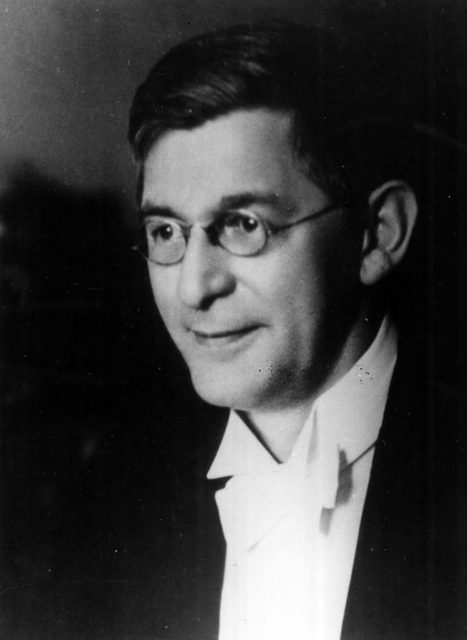 Thomas Parnell of the University of Queensland, c.1920. Photo Courtesy the University of Queensland Archives. Pitch is the name for various hard tar-like substances, which can be natural or manufactured, derived from plants, petroleum, and coal tar. It is a kind of thick, bitumen-like hydrocarbon. Asphalt and tar are forms of pitch and it is most famously used for waterproofing boats. Pitch feels solid and brittle at room temperature and can be easily broken with a hammer. However, Professor Parnell was convinced that its appearance is deceiving and created the experiment to measure the flow and viscosity of a sample of pitch. 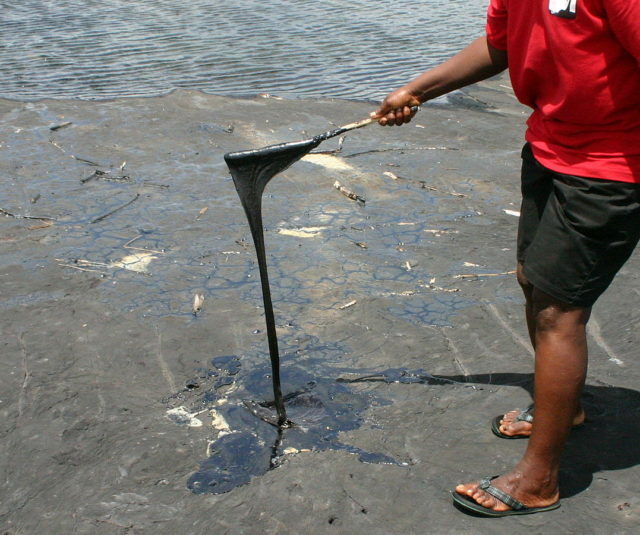 Tierra La Brea tar pit, Trinidad. First Parnell heated a hunk of pitch, then placed it into a sealed funnel and waited patiently for the pitch to settle. After three years, in 1930, the Professor believed that the substance was cooled and settled, so he cut off the stem of the funnel. And, the pitch began to drop at an extremely slow pace. Even though it seems trivial, the experiment still contributes to the spirit of scientific curiosity, while the devotion to it and its duration made the pitch experiment one of the most famous. 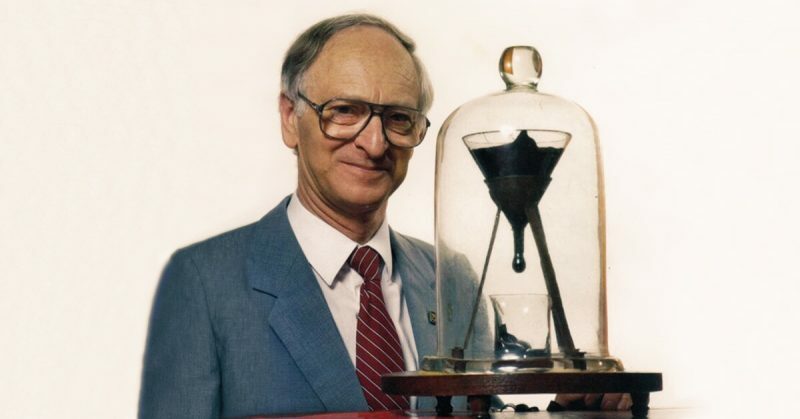 Professor Parnell lived long enough to witness only two drips – the first one in 1938, eight years after the opening of the funnel, and the second, nine years later, in 1947. Parnell died in 1948. Nevertheless, the pitch experiment continued under the supervision of John Mainstone, Honorary Professor in the School of Math and Physics at the University of Queensland. In 2005, Mainstone and the late Thomas Parnell were awarded the Ig Nobel Prize in Physics. The Ig Nobel Prizes are a parody of the Nobel Prize and take place every year in fall. They celebrate the most unusual and trivial scientific achievements. The Ig Nobel Prizes honor efforts and triumphs that make people laugh. Their purpose is not mocking, but rather to honor the imagination of curious scientists. So, the pitch drop experiment definitely deserved such recognition. University of Queensland pitch drop experiment with demarcation of years, months, and major events. The second custodian decided to leave the conditions of the experiment unchanged instead of modifying them. Before his death in 2013, Mainstone recorded six more drips – the eighth one in 2000. That same year, a webcam was set to assist surveillance, but unfortunately, due to technical problems, it missed the eighth drip. 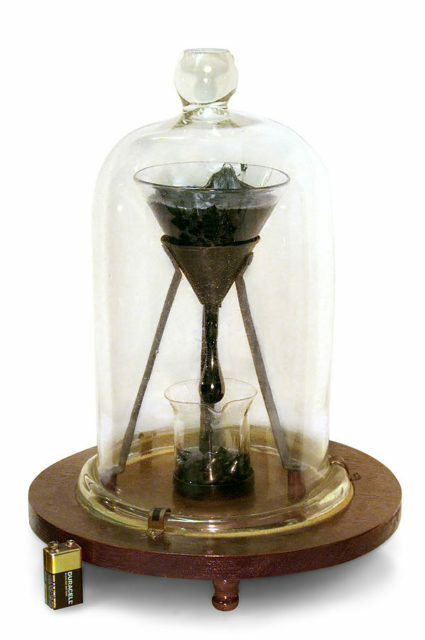 After the death of Mainstone, custodianship was passed to Professor Andrew White, the third custodian of the pitch drop experiment. Interestingly, nobody had ever actually witnessed a drop fall. On April 24, 2014 (a year after Mainstone’s death), the ninth drip occurred. Ironically, it happened during a beaker change. The drips occurred every eight or nine years. However, it took 12 years between the seventh and the eighth drop. Since then, the pitch drop experiment proved unpredictable due to changing variables such as temperature and the decreasing pressure from the leftover pitch. Also, the drop sizes are variable and their forming is ambiguous. More than 90 years since the start of the experiment, the tenth drop is now forming and is expected to drip in thirteen years from now. The pitch has been calculated to be roughly 230 billion times more viscous than water. Guinness World Records lists the lab experiment as the longest running in the world. It has been estimated that there is enough pitch to keep it dripping, ever so slowly, for another hundred years.